Why Biogeneral: high performance monofilament, tubing and film. 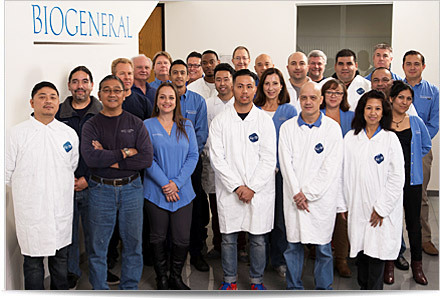 Biogeneral manufactures high performance monofilament, tubing and film. Track record: on-time delivery, uncompromising quality and efficient communication. Customers: a pretty picky lot and we work hard to keep them happy. Research: is really fun but everyone here knows how important it is to get the right materials to our customers on time, and we do. Please contact us with your interest. Biogeneral is ISO 9001 registered, maintains a FDA Device Master File and can provide IDE and PMA regulatory support. Customers must determine suitability, fitness, safety and effectiveness of Biogeneral products for their application. Dyneon® is a registered trademark of 3M. Engage® is a registered trademark of Dow Chemical Co. Hytrel®, Teflon® are registered trademarks of Chemours" (formerly Dupont®). Pebax® is a registered trademark of Elf Atochem. PEEK-Classic® & PEEK-OPTIMA® are registered trademarks of Invibio LTD.
© 2019 Biogeneral • All rights reserved.